The Fed is clearly in a box. Will they raise rates in June and start reducing their balance sheet? Don't know yet, but none of it is good news for the stock market. Gold looks poised to move, is it's time to shine coming up shortly? And then there's the ag commodities. Ned says they're in a bull market, led by animal proteins. India has killed the trade in Water Buffalo which accounts for 20 percent of the world's beef. Prices are almost certain to increase fast and furiously once the effects are felt. Who will pick up the slack? Tarl Warwick's YouTube Channel (styxhexenhammer666) has the mainstream fake news media running scared. With over 130,000 subscribers and millions of views, he's become the go to place for searing, pointed and unbiased commentary. He tells it like it is in a very engaging, down to earth manner. There's no sugar coating and four letter adjectives and adverbs are the norm. His delivery is authentic and he has no dog in any race. We talked about the liberal and media meltdowns, 2018 and how it will be an unmitigated disaster for the democrats and perhaps the establishment as well. Things have changed and continue to evolve. That's why YouTube has become an invaluable part of the battle against the mainstream media, even though its parent Google certainly opposes people like Tarl and has gone out of their way to make create obstacles to success of truth-tellers. The retirement crisis doesn't have to be a crisis. Just follow Captain Capitalism's advice and you'll never run out of money. First, never fully retire! Keep your income streams flowing. Even if you only work 2-3 days per week, your life will be much better as a result. Retirement is always a dead end. Next, start creating additional income streams earlier in life. That way you'll be able have them flowing steady as you get older. Whether it's a side hustle, an Internet business or a consulting gig, start early and often. Finally, downsize before retirement. You might not be able to control your income, but you do have more control over you expenditures. How much do you really need and what can you spend less on? It's all up to you. It appears that one of FSN's biggest fans, at least where Wayne Allyn Root is concerned is the left wing organization RightWinWatch.Org. Wayne says their mission in life is to constantly monitor conservative interviews and quote them out of context. Who has the time for such a questionable activity? You guessed, unemployed Democrats with way too much time on their hands. Good to know they possess such dedication to such a wonderful cause. Wayne also mentioned that the Republicans need to start investigation the Democrats. Seth Rich, the stolen election from Bernie, among other issues. We all agree that there's no such things as coincidences in politics, so now's the time to clear the air. Hollywood is bombing and this is especially true of the latest bomb, the remake of Baywatch with top start Dwayne Johnson. Johnson is interested in running for president and the media is thrilled, however the real world isn't. Hard to take him seriously, but the media has pretended to. The lesson here is that politics of any kind has no place in Hollywood, at least as far as their work-product is concerned. They can do whatever they want in their spare time, but don't sully your workplace. Keep politics out of award shows and any other non-politically related entertainment medium. Otherwise, the only thing you succeed in doing is destroying your brand and your ability to make a living. As expected, Trump fans and haters argued about the pros and cons of his first 100 days in office, but there is little argument about his impact on the stock market. The markets have hit new peak highs several times since November 8 in a “honeymoon” rally based almost entirely on optimism about Trump’s corporate-friendly economic policies. Yet, apart from all the irrational exuberance on Wall Street, Trump’s first 100 days were indeed a mixed bag worthy of debate. We saw signs that his ambitious economic agenda might succeed, but just as many signs that it might stall, fizzle, or end up severely watered down. Meanwhile, the markets remain inconsistent with economic realities, and investors are waiting either nervously or eagerly (depending on their perspective) to see what the next 100 days will bring. Will it be the validation of Wall Street’s optimism? Or, will it be political gridlock, policy failures, increasing global tensions, and a dramatic directional change for the stock market? Last month, Jeff discussed the fact that an increasing number of analysts and economists are convinced that a major market correction may be on the horizon despite whether Trump succeeds or fails. I’ve also pointed out that even if that doesn’t happen, the markets aren’t likely to climb much higher with Trump’s value already priced into them based on optimism. In other words, even if he manages to deliver on his promise of 4 percent GDP growth, that should only allow actual corporate earnings to catch up with the overvalued market. Have you dreamed for years of having your own business? But you never did anything about it. There are many reasons we allow ourselves to dream for years without actually taking any tangible action: it feels safe, daydreaming is fun, it's a form of escapism, or it gives us hope. But when you finally decide to take it from the dream state and bring it into the real world, the very first decision you are faced with is figuring out what exactly you want to do. This is the point when the pitfalls begin, which lead to procrastination. What are the ways to avoid these traps? How do we stay positive and keep running a successful business? Corporate Training Expert Mark Bowser joins us to talk about it and how you can get off your asset and end the trap of procrastination. Ivan Eland joined us for a discussion of Trump's performance thus far. The President is in a quandary. On the one hand he wants to drain the swamp, on the other he can't run the government without insiders. Washington is a world unto itself. Best way to proceed, find disaffected insiders who want to shake up the status quo. Doing business with the US Government is often a license to steal. Trump is the first president who's actually cared about how much money is being wasted by the government. Look for major savings on government programs. However, he'll be fought every step of the way. -the U.S., UK, China, Greece, Spain, etc. In a tone strikingly similar to what the Fed said in 2008, Canadian government officials are proclaiming the real estate mess contained. If past is prologue, it will be anything but contained and will likely metastasize into something far worse. These bubbles never end well and this one will be no different. Are Canadians too legit to start declaring strategic defaults en masse? Next, Danielle believes that your financial advisor has to be a sound risk manager ahead of all other considerations. It's a case of an ounce of prevention being worth a pound of returns. Often you're far better off not losing than trying to win a windfall and suffering big losses as a result. It's just human nature. Nick Santiago joined us today. For those not familiar with his work, he's one of the savviest traders around. He's never afraid to go long, short or sideways. He's a contrarian extraordinaire. Right now he's long autos, and sees the dollar going higher shortly. He believes that it has already made its low. He believes the stock market is heading for rough times in the 2nd half of the year. One thing we know for sure, it's never a good idea to bet against Nick. John joined us today. Trump's first overseas trip have proved and unmitigated success. While it looks good now, we've never been able to figure out the right move in the Middle East. It won't be settled anytime soon and expect periodic flare-ups. But defense stocks are doing well now, which is good for the market. Looks like the achilles heel of crypto-currencies has been exposed. While you can create many more Bitcoin units, you can create an infinite supply of crypt-currencies. Where will it end. ICO's (Internet Coin Offerings) are bypassing the stock market and the SEC. We'll see how long that lasts. President Donald Trump lost the millennial vote during the the 2016 presidential campaign, but a new survey finds that Congress is no more popular than the President among young adults. Two-thirds of black millennials disapprove of the way Congress is handling its job, as do 58% of both Asian and Latino millennials. Only 18% of white millennials approve of Congress' performance. Can he turn it around? Matt Nye is Chairman of the Republican Liberty Caucus, Innovative Entrepreneur and Seasoned Political Activist. Failure or Success? In his first 120 days, President Donald J. Trump has taken the United States by storm. Some say he has taken bold action to restore prosperity, keep Americans safe and secure, and hold government accountable, while others say he has taken reckless action that has severe consequences. Which is it? Is there truth to the following statements? At an historic pace, this President has enacted more legislation and signed more executive orders than any other president in over a half century. With a focus on rebuilding the military, ending illegal immigration, and restoring confidence in our economy, the President is keeping his promises to the American people. He has created more jobs for working class America. Many first time Amazon sellers have zero digital marketing experience. The key is to follow Mike's system and learn how to use the tools available to master the digital marketing experience. Using keywords, understanding the search engine and then going on to buy the best searches at the most affordable rates. Properly framing your listing titles can be your key to amazing sales. You'll use tools like Google Adwords which is free. It will help you identify the keywords that work. Mike is currently developing a power keyword search tool that will far out shadow every other tool on the market. It used to be all you had to worry about in life was death and taxes, which were the only absolutes in life. 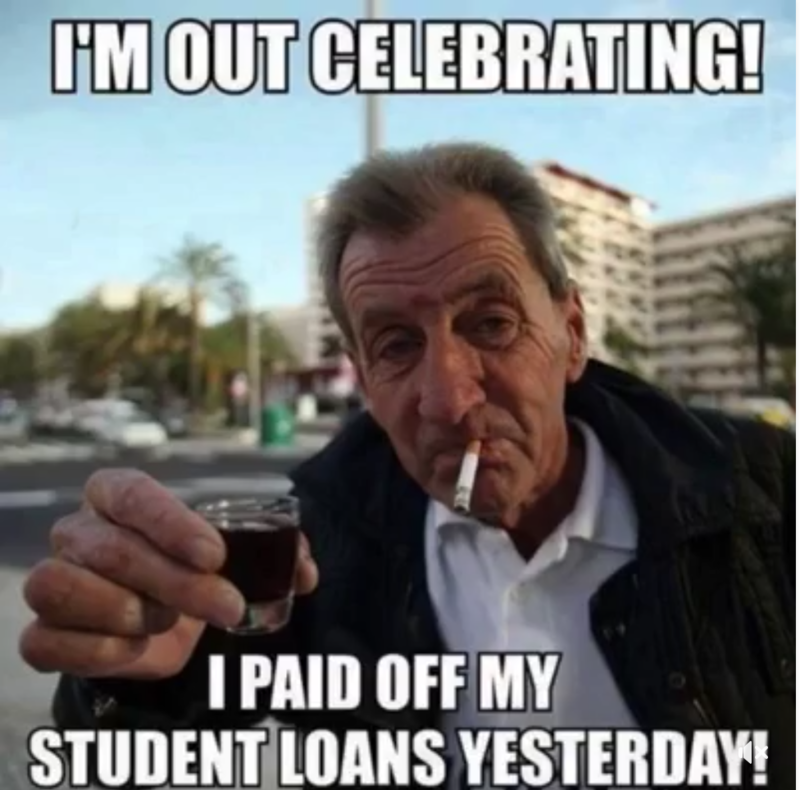 Now we can add to that exalted category - student loans. Is this a good thing? As the student loan debt bubble escalates, the amount of damage that will potentially be done will be devastating. Student loans are like taking a reverse mortgage on your life. The end result cannot be in doubt. You've decided you want to sell on Amazon, but now the question is what to sell? Mike helps to take the guess work out of that process with AmazonProductFinder.com. Using this tool you can find big selling products with high margins. There's a number of other ways to find these products and Mike goes through them. The upshot is that before you even think of selling a product, you must do your research. You can do it manually, but why not pay a small price for the software and let it do the grunt work for you? Mike lays it all out for you in very easy to understand terms. Woody O'Brien joined us. He's of the opinion that the average person believes what Putin says over the mainstream media. Russia has nuclear weapons, shouldn't we be talking to them regularly? No one has ever had worse media coverage than Donald Trump. You can tell a lot about a person by the enemies they make. Trump may not be perfect, but he's not satan. The people who buy into it already voted for Hilary, not Trump. Trump's supporters are impervious. Woody thinks we're heading to recession and if congress doesn't act on taxes or Obamacare. If we don't get things going soon, it will be too late and the stock market will suffer accordingly. A major cost in doing an Amazon Store is shipping, the cost of getting the product from Asian Factory to Amazon. Nearly 50% of our product's total all-in cost, went to shipping. Now, Mike is chartering containers monthly from Shanghai to the US. From there the container goes to a customs clearing agent. The agent then forwards it to Amazon's facility. The cost savings is remarkable, coming in at least 70% below current costs. For our products, we could realize savings of over $2,000 per shipment. This savings goes right to the bottom line, pure profit. Daniel Greenfield joined us to discuss the War on Donald Trump. Fake News is running rampant. It's stuff that's passed off as news that never really happened. Whereas before we were just dealing with bias, but now it's completely invented. Stronger libel laws won't work and neither will government cracking down on the media. The only solution is a more enlightened and informed electorate and public. But then we have the problem of the warped educational system. But Daniel is an optimist and believes we will find a way out of the morass. The Trump administration is in trouble now. Former Congressman John LeBoutillier likens Donald Trump to the late owner of the Yankees George Steinbrenner. They're both off the cuff, larger than life, intense people. His ability to govern is in question. Will he be able to turn it around? Jury is out. History's most overdue financial crisis. Our good friend Bix Weir joined us today for an intriguing interview. He's of the opinion that the firing of FBI Director James Comey is a watershed event in the fight between the good guys and the bad guys. We'll look back on this event and see it as a major turning point in this endless battle. The dam has broken and everything will eventually be disclosed. We also talked about the disclosure concerning the late Seth Rich (DNC Data Expert) concerning his connection to Wikileaks and the deliberate coverup of his killing. This is big news! Heads will roll! James Jaeger has been a prolific film maker putting out 8 libertarian oriented films in the past few years. His latest is entitled Mainstream, which deals with the media and its dishonesty. James says that the Mainstream Media is dishonest and corrupt. Some have called it the “perfect crime” because the Hollywood studios and the New York networks have gotten away with over 300 predatory, unethical and illegal business practices for over 100 years. As a result a small, liberal elite selectively controls 95% of everything WE THE PEOPLE see, hear and read. This “control group” promotes certain political agendas, candidates, parties, values, interests, cultural perspectives, and an anti-Christian slant is always present. In a democratic nation, where the First Amendment guarantees the free flow of information, is it okay that the Mainstream Media dominates the political and economic agenda of the nation? We feel this is NOT okay, and this is why we are producing a documentary feature entitled, MAINSTREAM – How Hollywood Movies and the New York Media Are Promoting the Globalist Agenda.